A love powerful enough to reach beyond the grave. When Graham Logan draws the Queen of Swords, he knows he’s about to meet the love of his life. For the third time. But surrendering his heart will mean risking her life…or making her what he is–two things his beliefs won’t allow him to do. Graham rages at God: Why give her back only to take her again? Cat Fingal, the third incarnation of Graham’s other half, won’t let him slip away so easily. A white witch, she casts a spell to summon him—for answers, among other things. Graham has other problems, too. Like the seductress who wants him for herself and the dark wizard who cursed him and killed Cat the first two times. Will she find a way to save him this time around? Graham had just come upon the misplaced diaries—in the cupboard under the stairs—when he caught a whiff of something burning. Concerned, he stepped back into the foyer. A quick look around revealed nothing unusual. He sniffed the air, again detecting smoke, though none of the toxic undertones of a house fire. Neither did it smell of a choked chimney. It was, in fact, pleasantly herbal—like the juniper-laced bonfires of Beltane he knew in his youth. Was Branwen burning incense…or Benedict trying out a new pipe tobacco? Shrugging it off, he grabbed the box of diaries and headed for the stairs. As he climbed, so did the smoke. A picture of Caitriona came into his mind. Or was it Catharine…or the new one? He couldn’t be sure as she was naked and her hair hung loose. As she reached for him, he saw something odd: a blue fire the size of a pilot light in the center of each palm. Like moth to flame, you yearn for light. Come from shadow into my sight. He had no hands. And no feet. The smoke and ethers enveloped, pulling him apart cell by cell until he felt like the sands of time moving through an hourglass. The cosmos was silent except for a haunting echo—like the sound inside a seashell. He felt at once connected to everything and nothing. Adrift and yet highly attuned. He was blind yet all seeing; numb yet hypersensitive; defenseless yet omnipotent. Others were there, too—phantasmal energies blowing past and passing through like sleet. The next thing he knew, he was on his back, winded and disoriented. The room was dark save for the flicker of a solitary candle. He could make out only two pale shapes. The larger one, he presumed, was a bed, the smaller one, by the window, his summoner. His nostrils flared, seeking her scent, but found only the spices of the smoke. The sound of his deep, musical burr quickened Cat’s pulse. It could only be the good-looking Scot who’d been checking her out from the stacks for the past twenty minutes. “Excuse me?” She raised her eyes from Anne Rice’s Interview with the Vampire, but did not turn around. There was no need. She’d already memorized every detail of his appearance while he skirted her gaze. Each time she looked his way, hoping to catch his eye, he was conveniently reading the book in his hand. Each time she returned to her work, the prickling hairs on the back of her neck gave away his game. He seemed uncannily familiar too, though she couldn’t place him. The proud stance, powerful build, and thick copper hair all struck a chord—a sweet arpeggio that resonated somewhere deep inside. “For my dissertation,” she offered quickly, pinging with guilt. She did not add that renewal of her faculty contract hinged on her finishing her Ph.D. before the term ended in three more weeks. Or that she was hopelessly behind. If she told him how under-the-gun she felt, he might leave. And she wanted to keep talking to him. He was undeniably handsome. Bodice-ripper, book-cover handsome. Straight nose with a slight flare at the end; strong jaw and jutting chin; prominent brow and cheekbones; intense, deep-set eyes that turned down at the corners ever so slightly; and a sweet, kissable mouth whose tucked lower lip made it both boyish and sensual. Apart from the biker jacket and boots, he might have stepped out of one of the Highlander romances she read every chance she got—a longstanding guilty pleasure. For some inexplicable reason, she’d been attracted to all things Scottish for as long as she could remember. He reached past her, selected Dracula off her stack of reference material, and began looking through it. She could hear the pages turning behind her, but couldn’t bring herself to turn round. If she met his eyes, she would melt like butter. Cat knew from her Highlander romances the word “ken” meant “know” in Scots, but was otherwise confused by his question. Why did she find his closeness so discomposing? Men, even good-looking ones, rarely had this effect on her. She was going to say “eternal damnation,” but remembered it was never a good idea to discuss religion—especially her religion—with any but like-minded practitioners of the craft. And even then, it could lead to heated disagreement. Turning at last, she met his eyes, an astonishing shade of gold—like topazes or whisky backlit by the sun. They also were so gnawingly familiar she wanted to scream. She tried to speak, to wrench her eyes away, but couldn’t seem to. Images of heather and bracken, of misty hills and crystal lochs, washed over her like a dream. What in the name of the goddess was happening to her? Unable to bear his riveting gaze any longer, she turned back to the table, winded and shaken. She took a couple of breaths to slow her pulse and regain control. As he reached past her to return Dracula to its place, her eyes followed his hand—a sculptural marvel with long fingers tapering from furrowed knuckles to lustrous nails. She shivered as she imagined those fingers traveling over her flesh. He smelled good, too. Natural and earthy. Like a walk in the woods on a crisp autumn morning. Nina Mason is a hopeless romantic with strong affinities for history, mythology, and the metaphysical. She strives to write the same kind of books she loves to read: those that entertain, edify, educate, and enlighten. 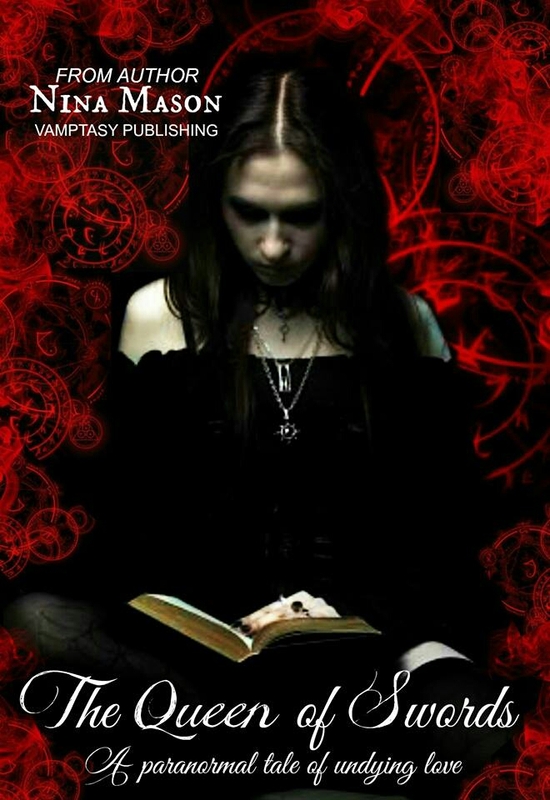 Three of her books will be published in 2014: The Queen of Swords, a paranormal romance/urban fantasy from Vamptasy Publishing; The Knight of Wands, book one in the Knights of Avalon Series from Soul Mate Publishing; and The Tin Man, a thriller from Crushing Hearts and Black Butterfly Publishing. 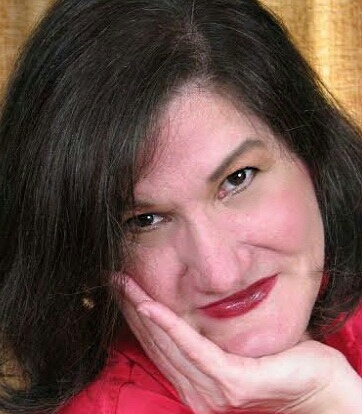 When not writing, Nina works as a communications consultant, doll maker, and home stager. Born and raised in Southern California, Nina now lives in Woodstock, Georgia, with her husband, teenage daughter, two rescue cats, and a Westie who’s frightened of the dryer. You might have had trouble, but it looks fabulous. Thanks so much for sharing my cover with your readers.